In search of a perfectly blended Margarita, or an oh-so tasty Mojito? Whether you consider yourself a cocktail connoisseur or someone who just enjoys the occasional tipple, one thing is for sure, the creations at these top cocktail bars in Barcelona are sure to make your taste buds tingle! For those looking to avoid the crowds of tourists while sipping a tasty drink at a cocktail bar in Barcelona, Andu is a top choice. Slightly off of the beaten path, here you can enjoy a Catalan experience with some delicious classic cocktails and traditional tapas. 2. 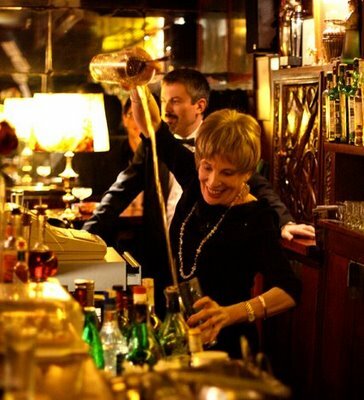 Slow Cocktail Bar & Boîte – G&T, Anyone? If you are more of a Gin & Tonic lover, then Slow Cocktail Bar in Barcelona will be right up your alley. This sophisticated venue offers a wide selection of gins that changes with the seasons, and is a favorite among Barcelona’s elite crowd. 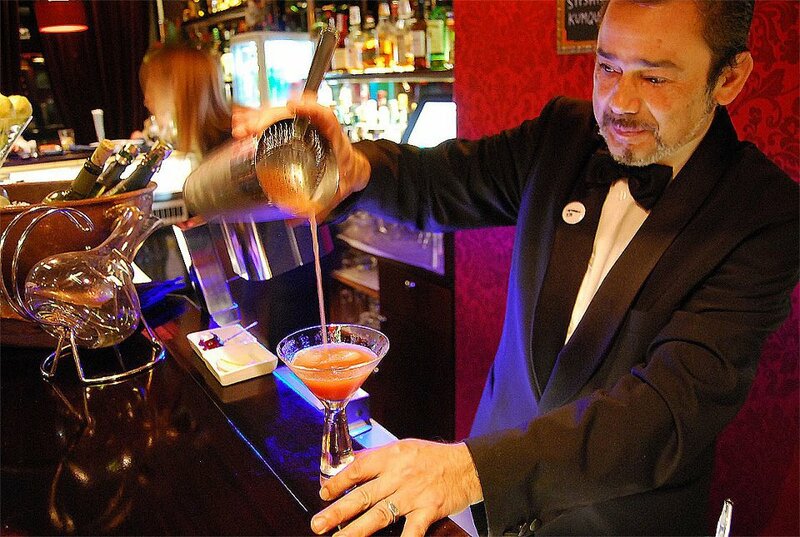 Be sure to try the smooth “Madame Butterfly”, a delicious mix of vodka and Japanese sake…yum! The Bambú Lounge in Barcelona, located in the Gràcia district, allows patrons the chance to sip on some cool cocktails against an Oriental backdrop. With some quality Asian-Indian cuisine to accompany sweet blends of Whisky and Amaretto (known here as “The Godfather”), this one offers something more unique to visitors in search of a memorable cocktail bar in Barcelona. A Barcelona staple since 1933, Boadas is the oldest cocktail bar in Barcelona and the perfect place for those who wish to kick back in an artsy ambience. Shaken and stirred to perfection by wait-staff in tuxedos, the selection of cocktails on offer at this chic locale is sure to satisfy any cocktail fan. The “Cocktail of the Day” is a crowd pleaser, too! For the most elegant cocktails in Barcelona, there is only one place to go: Dry Martini! Wait-staff in white tuxedos greet customers in this chic cocktail bar in Barcelona. The owner and founder, Javier de las Muelas, is known the world over for his crafty cocktail creations, and best described this venue in one sentence, “The Dry Martini World is a lifestyle”. 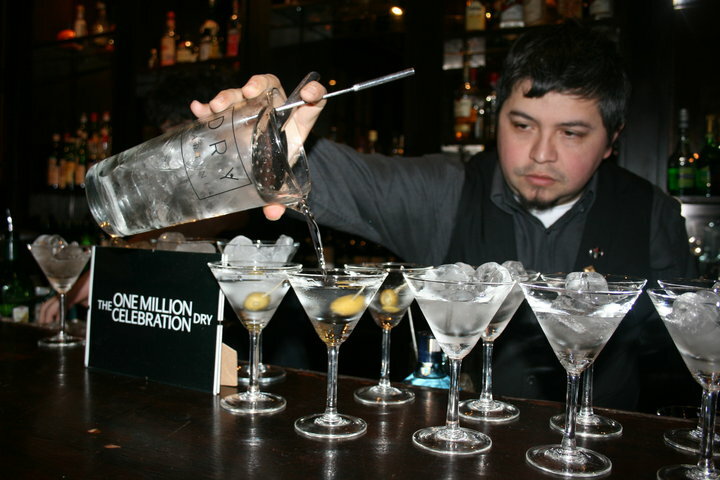 If you wish to try your own hand at shaking and stirring, various cocktail classes are offered at the Dry Martini Academy. This list is in no way conclusive, and with plenty more cocktail bars in Barcelona, including Marmalade in El Raval with its cool Bohemian vibe, and Tandem at Carrer d’Aribau 86, an exquisite cocktail bar with some tasty creations, we guarantee you’ll find a locale perfectly suited to your pre or post-dinner sipping needs! What’s more, if you are making your way to Barcelona for a short break, kicking back with a cocktail after a day of sightseeing can be just bliss. You could even choose to stay in one of the many city centre holiday apartments in Barcelona, making it easy to enjoy the bustling nightlife of this cosmopolitan city! This entry was posted in Activities, Bars & Nightlife, Home, Restaurants & Food and tagged barcelona activities, barcelona food and drink, barcelona nightlife, barcelona restaurants, barcelona tourist guide, cocktail bars barcelona, Restaurants in Barcelona, things to do in barcelona, visiting barcelona. Bookmark the permalink.